Marrakech is worldly known for its conference hosting capacity and luxurious venues, with a rich and beautiful history, choosing this city will have a positive impact on the outcome of your conference. The purpose of your conference does not cause any issue, whether its work related or you’re interested in an eco-conference, having your venue in Marrakech is always a great idea as this city is known with its numerous high-end hotels and venues that offer prestigious and luxurious hotels with conference venues. 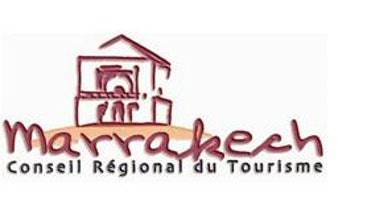 Choosing Marrakech is definitely a stellar idea and will aid you to get your message passed on. Travel Design will take care of all the management and do so in an excellent manner. Our various ideas for conferences and themes for your conference will simply take your guests’ breath away and have them truly grasp the purpose of your conference, after all, the local has an important role in the smooth passing of your message. Being efficient and luxurious at the same time is what we’re specialized at, keeping the budget factor into consideration only motivates us more to find the best and most convenient venue. We do understand and fully get that your ultimate goal is the success of your conference, with that set as your goal, we at Travel Design will provide every necessity and make use of the latest technology. Once again, the message or the intended purpose of your conference will pose no inconvenience as we cover a wide range of topics varying from business and politics to culture and everything environmental. The efficiency we possess to produce Conference venues in Marrakech will absolutely grant the success you want to your conference.